How 'bout them Walking Dead this season? An already exceptional show has really begun to hit its stride. Let's hope it doesn't start going all to hell like True Blood has. 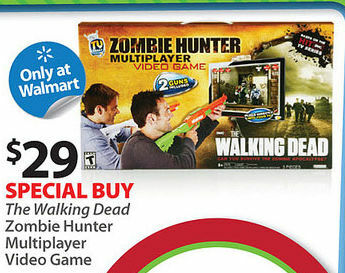 For you gamers out there, the Special Buy at right is a Wal-Mart exclusive on Black Friday, so. . . ask someone else to pick one up for you while they're there. 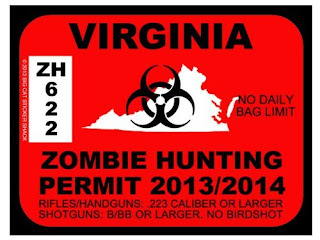 You don't really want to face the lumbering hordes of zombified Walmart shoppers armed with just a green and orange plastic shotgun, do you? I may well live to rue the day that I said this in a public forum, but I'm cautiously optimistic that the forthcoming Texas Chainsaw 3D isn't going to blow massive monkey nuts. 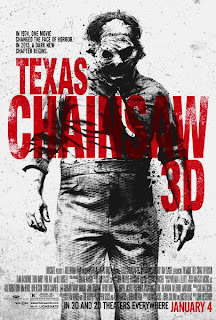 The pre-release stills and one sheets look promising, and I think it took some nerve to put Leatherface on this retro looking poster at right not brandishing his trademark chainsaw. Elegantly understated, no? Also encouraging: this film will ignore all of the sequels, prequels, and remakes since Tobe Hooper's 1974 original and serve as a direct continuation of that original story. Even better: "Chainsaw" franchise veterans Bill Moseley, Marilyn Burns, and Gunnar "I'm the real Leatherface, dammit" Hansen will all make appearances. Only Hansen will be returning to the same role, but who doesn't get chills imagining the original Leatherface on the big screen again, and in 3D? In what I think was an inspired bit of casting, Bill Moseley (Choptop in TCM 2) will be assuming the role of Drayton "The Cook" Sawyer. I'm actually going to leave the Cave for this one, so I really hope I'm not disappointed. The Texas Chainsaw Massacre was the first midnight movie I ever saw, and meeting Gunnar Hansen at DragonCon was one of the happiest moments of my life. The trailer is a little iffy (check it out here), but I'm staying optimistic. 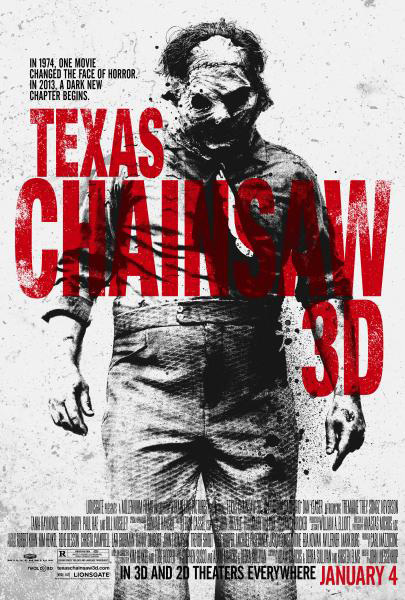 Texas Chainsaw 3D opens January 4, 2013.